The first UFC Pay-Per-View of 2013 will feature a legitimate ‘Super Fight’ and a strangely a number of fight with a distinct Strikeforce flavour as a multitude of former Strikeforce employees fill the card. UFC 156 will be headlined by the return of the only Featherweight Champion the UFC has ever known, Jose Aldo. Opposing Aldo and looking to become the second man to wear the 145 pound strap will be former Lightweight Champion Frankie Edgar. Edgar is all to familiar with the task of facing unbeatable champion as he ended the rein of one of the greatest Lightweight champions of all time- BJ Penn. For Edgar this will be his seventh consecutive title fight appearance and while some will criticize the UFC for giving him a title shot in a division he hasn’t fought in, Edgar looks forward to once again proving his doubters wrong. Aldo hasn’t see the inside of the Octagon in a year and has contemplated moving to Lightweight if he is able to successfully defend his 145 pound title one more time. Both fighters have their eyes set on joining the short list of multi-divisional champions, but only one can and it starts in the main event at UFC 156. In the co-main event Rashad Evans battles Antônio Rogério Nogueira in a Light Heavyweight bout. Evans is coming off of a title fight defeat against Jon Jones and the former Champ has plans for another UFC gold rush, but will need to get through the veteran opponent currently laid before him. Little Nog hasn’t been as fortunate to earn himself a title shot and knows that an upset win over Evans would put the wheels in motion for a further opportunity to show he is worthy of such an opportunity. Also on the main card, two former Strikeforce Heavyweights originally earmarked to meet in the semi-finals of the promotions Heavyweight Grand Prix will finally engage in just as significant a bout regarding the future of both men. Alistair Overeem returns from suspension and a chance to secure a shot at the UFC title with a victory in only his second Octagon appearance. Antonio ‘Bigfoot’ Silva is coming off of his first promotional victory and could reaffirm himself in the division upper echelon with an upset win reminiscent of his 2011 win over Fedor Emelianenko. Overeem wants a chance to face newly crown UFC Champion Cain Velasquez for the strap and Bigfoot is equally as focused on a return engagement with the man that earned his title shot by ruining his UFC debut. Title implications continue in the opening two bouts, as former Flyweight title challenger Joseph Benavidez battles former #1 ranked Flyweight Ian McCall. Both men fell victim to current Flyweight champion Demetrious Johnson in the 4-man Flyweight title tournament and the winner of this bout could earn a return engagement. Jon Fitch looks for another win to continue his pursuit of a title rematch, but the 2-0 former Middleweight Demian Maia has intentions of securing his third straight impressive 170 pound win. The prelims are headlined by a Lightweight clash of Gleison Tibau and Evan Dunham, along with the debut of former Strikeforce fighters Tyron Woodley, Bobby Green, and Isaac Vallie-Flagg. Woodley will be oppossed by former another former Strikeforce employee Jay Heiron, Green will meet Jacob Volkman, and Vallie-Flagg is set to fight another man who had a brief stint in the now defunct organization Yves Edwards. UFC 156 will be headlined by 1 Super Fight, at least 2 fights with imminent title shot implications, and 8 past employees of the no longer existent #2 ranked Mixed Martial Arts Company in the world. 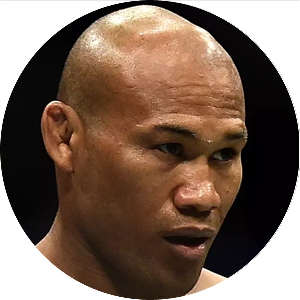 Make sure you check out the latest Episode of Kamikaze Overdrive MMA Predictions for all of the UFC 156 Main Card picks along with the Preliminary Card predictions on the UFC 156 prelims pages. The Public Picks section is now ready for UFC 156 as well so get in and get your say on who you think is going to emerge victorious from an event that could be one of the most stacked of all of 2013. Starting in 2010, Scott began posting UFC and NFL predictions videos on youtube under the name Kamikaze Overdrive MMA Predictions. Eventually, MMA became his main focus and as the channel's popularity grew Kamikaze Overdrive eventually expanded to include a website. 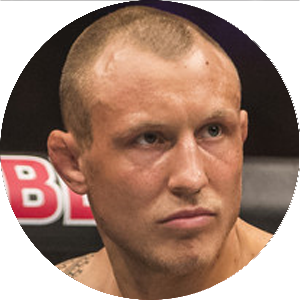 Scott has worked for various MMA and Sports betting information sites and now posts UFC Predictions, Betting Breakdowns, and Content along with other sports-related betting information.